6'6" Model SP65R-2S, 2 piece spinning rod. Cork rear and fore grip reel seat. Aluminum down-locking reel seat. Foulproof guides. Early brown fiberglass. 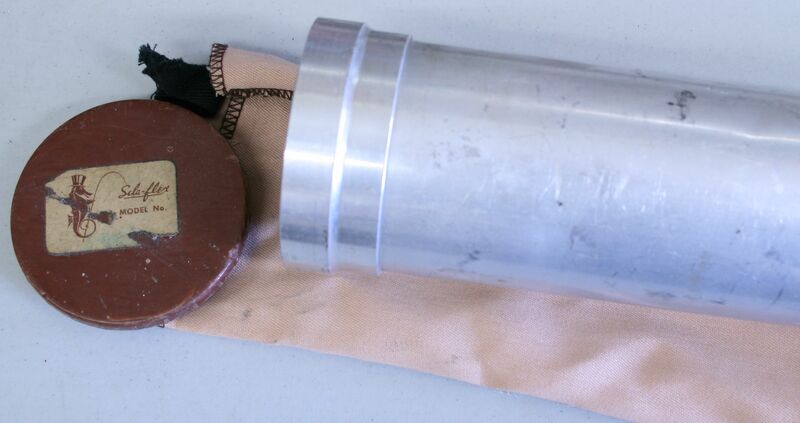 Includes original cloth bag and aluminum tube with labeled cap. Very good condition.